Publishers using the Google AdSense platform should have recently received a notification that they have been upgraded to the new AdSense payments platform and that the old payments platform is being shut down entirely. What does this mean for you as a website owner and especially if you are ever thinking of selling? As of the June 30th 2015, payments data prior to your upgrade will no longer be available. Naturally, you will need to download a copy of your payments data for future reference e.g. doing your taxes. You can find an overview of the updates here. Scroll down to “Previous payments” at the bottom of the page. Click on See your previous payments. In the “Finalised earnings and payments” section, click on Export to CSV. Follow the instructions in the dialogue, and click on Save. If you are planning on selling a website, it is important you download this past transaction history. Buyers expect to verify your income during due diligence and whilst the earnings/reporting dashboard will still be available, the numbers reported here are only estimated. The final payment you receive each month is in the payments screen (this is the part that is changing). Buyers will generally expect to match up your bank statements showing payments from Google to your AdSense payment statements. We would recommend taking a screenshot (with date stamp) of your payment screen from the last 12 months PLUS downloading the payments data per instructions above and keeping them somewhere safe. With due diligence, the more supporting data you have to support your claims, the more likely you are to avoid issues in the sales process. Good record keeping is an essential part of this. You might also be interested in 101 Ways to Make More Money with AdSense. On February 26th Google announced changes were coming to its mobile search algorithm. SEOs were given just under two months to prepare for the day that has been affectionately dubbed “Mobilegeddon”. The rollout could take up to a week to complete. 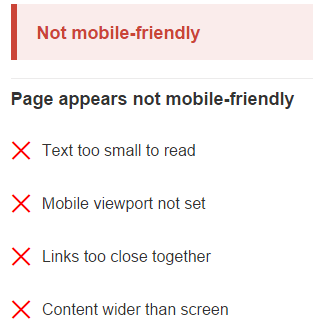 A web page is either mobile-friendly or it is not. There is no middle ground. The mobile-friendly update will not affect desktop rankings. 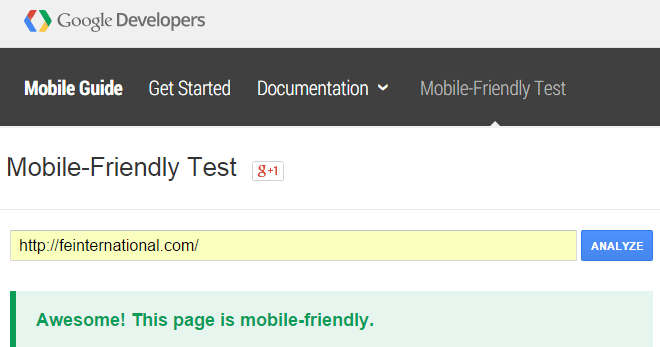 Mobile-friendly indicators will be determined per page and will not be site wide. The update is reported to be bigger than both Google Penguin and Google Panda. What are SEO industry leaders saying about the update? Knowing whether your website is optimized for mobile and what to do about it if it isn’t, is your first step in ensuring you’re not negatively affected by the algorithm update. Below are some tools that can help with your analysis and next steps. Awesome indeed. 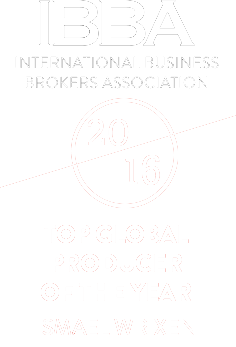 The FE International website passes with flying colors. Text too small to read – Does the user have to zoom in to read the text on the page? Mobile viewport not set – Is your viewport set? If not mobile devices will display desktop versions of the website which have been scaled to fit the screen. Links too close together – Is there a chance that a user can click another link by mistake? Content wider than screen – Does the user have to scroll horizontally to see the content on the screen? A more practical tool we discovered is W3C mobileOK Checker. It does take a bit of time to load but you are provided with more details as to reasons why your website is not mobile-friendly. It lists failures by severity and also a detailed technical report so that you can take more direct action. If you’re currently not mobile optimized where better to get advice than from Google themselves. Google have a Get Started Guide which offers guidance, checklists and also Mobile SEO advice. 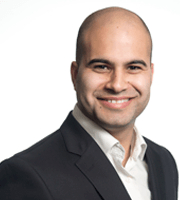 FE International created a website penalty indicator which includes all of the Google Penguin and Panda updates and has also been updated to include the Mobile-Friendly algorithm change. 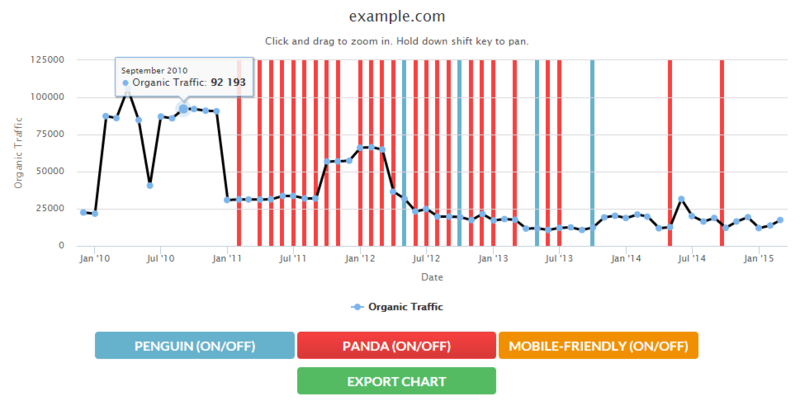 The tool uses historic SEMrush to show how traffic changes against each update. It will be interesting to see what happens to sites that aren’t optimised for mobile after a few weeks. It will be difficult to form any useful conclusions in the first week. I’ve seen posts about the mobile update all over twitter but I hadn’t seen any mention of the Google AdSense update. Not thought about selling my website any time soon but it’s useful to know I should download my data for taxes, if nothing else! Yes it’s always best to be safe than sorry. Just make sure to keep the data backed up somewhere safe! Cheers for the post. Nice, short and easy to read. Btw, will this update happen just today? The update is expected to take up to a week roll out. I wouldn’t make any rash decision if your traffic wobbles. Give it a week or so for the algorithm change to stablize. Let the dust settle! That penalty tool indicator is brilliant! I do SEO for a few local companies in my town and this is a great visual aid. I see it has the mobile toggle but the line doesn’t appear on the graph? Thanks for the comment. The penalty indicator is based on historic SEMrush data. At the end of the month you’ll be able to see how your website was affected by the update and in another month even more so.